–a collaboration between Lucas Ihlein and Media Arts staff and students at the University of Wollongong. As industry is driven out of the city, we can easily lose touch with what lies beneath our tidy lifestyles: the gritty reality of good cheap jerseys old-fashioned NOISE. In What Lies Beneath, the industrial din Business which props up Sydney is recuperated through small soundworks, to occupy a place in the slumbering minds of wholesale mlb jerseys the citizens of the Inner West. 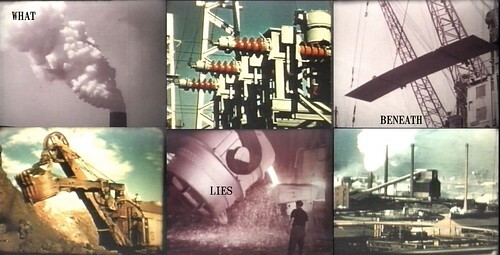 During the early months of 2011, first year Media Arts students at the University of Wollongong have been making field recordings of the local steel manufacturing and computer dismantling industries. The students have synthesised, processed and edited these unlistenable sonic vibrations to produce subtle (and beautiful) “wake-up soundtracks” specially designed to structure the transition from sleep to wholesale jerseys wakefulness. Each morning during the Tiny Stadiums Festival, local residents will be offered the chance to experience these wake up soundtracks in the intimacy of their own bedrooms. Vegetable Those who register in time will be transmitted an audio file with instructions on how to install it on their device. To register your interest in hosting this event in your own private cheap mlb jerseys boudoir, email info@whatliesbeneath.org. What Lies Beneath features original works by students of Media Arts 101 at University of Wollongong’s Faculty of Creative Arts. What Lies New Beneath cheap jerseys is part of Tiny Stadiums Festival, curated by QuarterBred and facilitated by PACT. –large printable version (pdf Online 3MB). This entry was posted on Friday, April 8th, 2011 at 4:06 am and is filed under Media. You can feed this entry. Both comments and pings are currently closed.